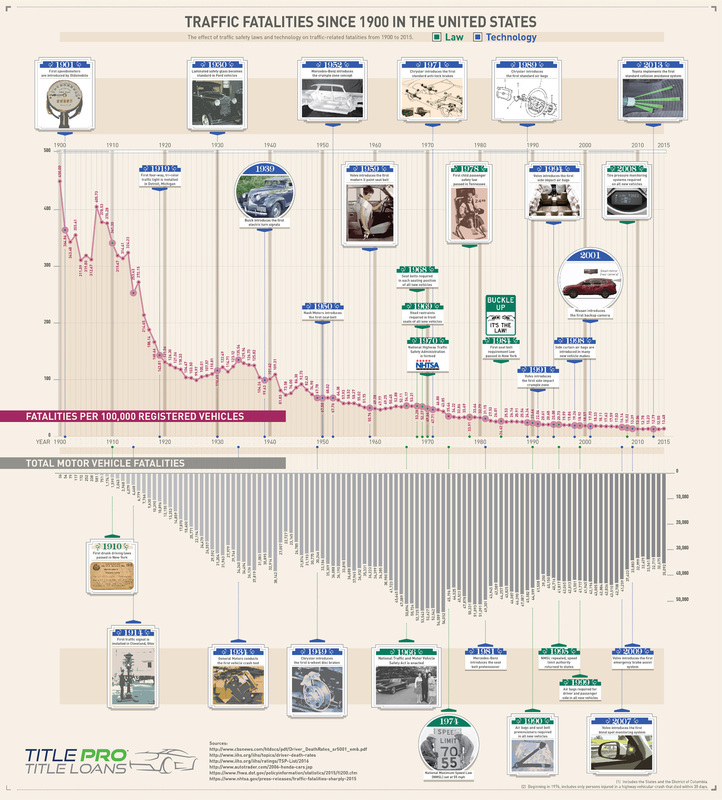 How many people have died from car accidents in the last 100 years? Probably a lot more than you would think. Since 1900, car safety advancements and new traffic safety laws have brought us a long way and have reduced motor vehicle deaths in the United States drastically. Unfortunately, that still left over 35,000 dead in 2015 alone. Over the next few decades, automation technology aims to reduce that number much, much more. This infographic from Title Pro Loans visualization shows the total number of car accident deaths as well as the deaths per 100,000 registered vehicles to paint an informative picture of how improvements in road safety have reduced the number of highway deaths year after year.